is crafted with a mixture of ingredients brought about by centuries of trade and exploration. Considered a staple of Barbados, the Scotch Bonnet or Bonney Pepper provides a powerful companion to mustard and spices in making a savory yet tantalizing concoction. Mix with honey for a truly spicy and intriguing dipping sauce. It’s mustard-base makes it the perfect compliment to barbecue sauces and marinades or use it straight up on sandwiches, burgers and sauces. Ingredients: Fresh Onion, Habanero Peppers, Food Starch, Mustard, Sugar, Salt, Vinegar, Flour, Tumeric and Spices. Fueled by the Habanero Pepper, this island-style favorite is packed with flavor. Carrots, onions, garlic and lime juice help temper its fire and provide the thick texture common in the Caribbean. Fish or fowl will sizzle with fire on your grill. 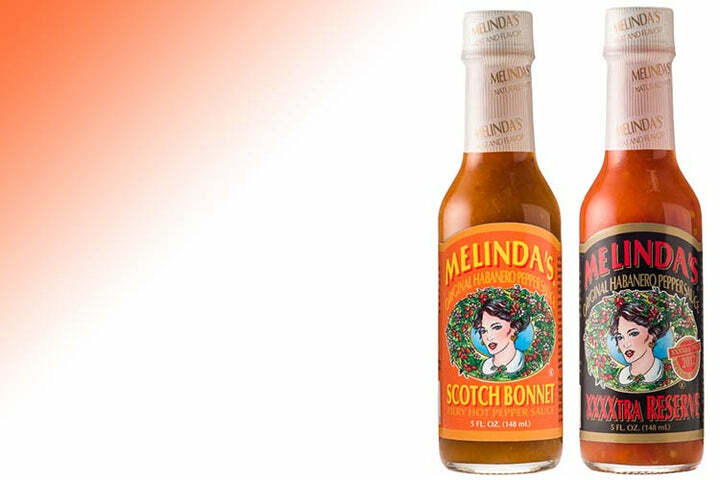 Use in soups or stews, embellish your Bloody Mary’s or be creative – you’ll find its applications endless. Ingredients: Fresh Choice Habanero Peppers, Fresh Carrots, Onions, Lime Juice, Vinegar, Garlic and Salt. is crafted with a mixture of ingredients brought about by centuries of trade and exploration. Its spicy robust flavor is rich with fruits and exotic spices and is the perfect condiment for marinating beef and a host of other meats and game. Baste Portabella mushrooms and grill for the perfect meatless burger or use over cream cheese for an exceptional appetizer. This classic meat sauce is worthy of the finest cuts of beef. Ingredients: Habanero Peppers, Acetic Acid, Citric Acid, Starch, Sugar, Soy Sauce, Bananas, Caramel Color, Onions, Cloves, Molasses, Cumin, Black Pepper, Salt, Tamarind Pulp, Vinegar, Garlic, Water and Pineapple.